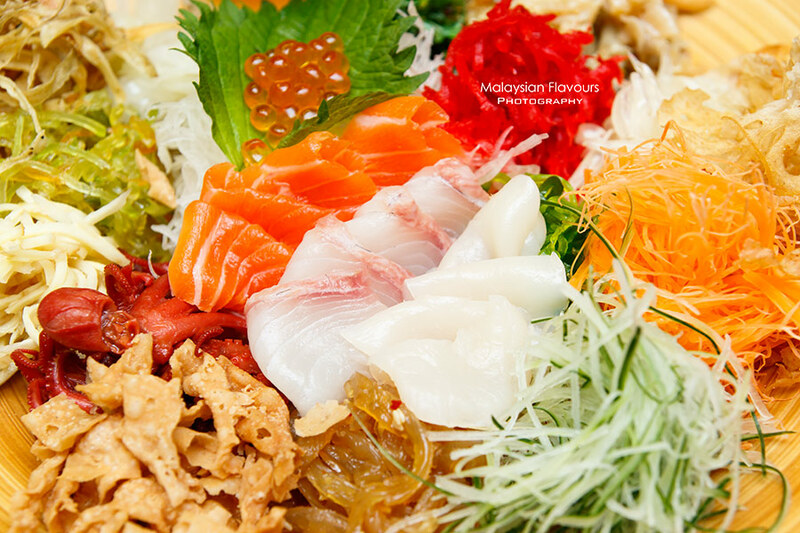 Hana Sake Bar & Dining Sunway Pyramid welcomes the year of Monkey with prosperous Atlantic Premium Seafood Yee Sang, priced from RM58 for small (2-4pax) to RM88 (5-6pax) for medium and RM128 (8-10 pax) for large. 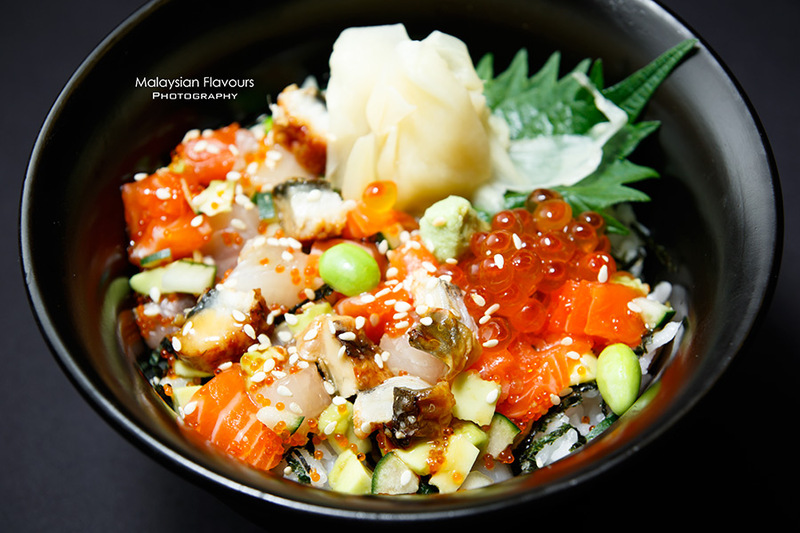 Plenty of textures and flavours from different ingredient, topped off with salmon, kampachi and maguro. 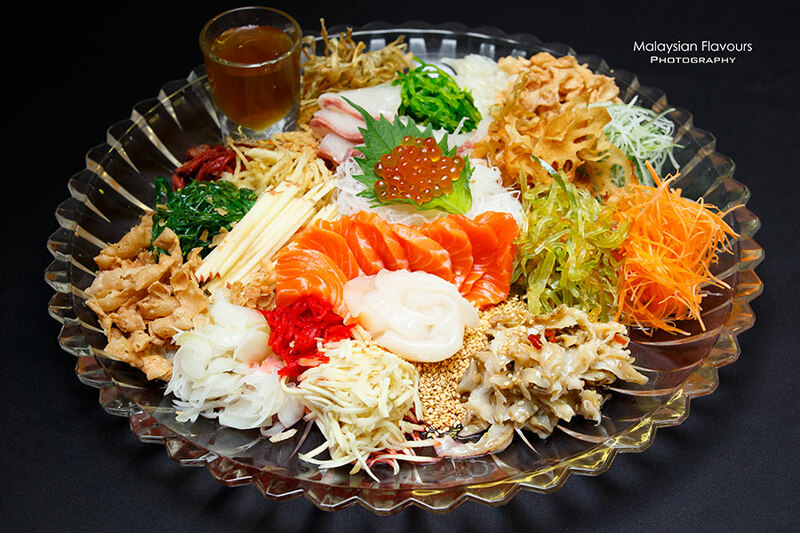 Definitely one of the better Lou Sang platter we had tried in this year. 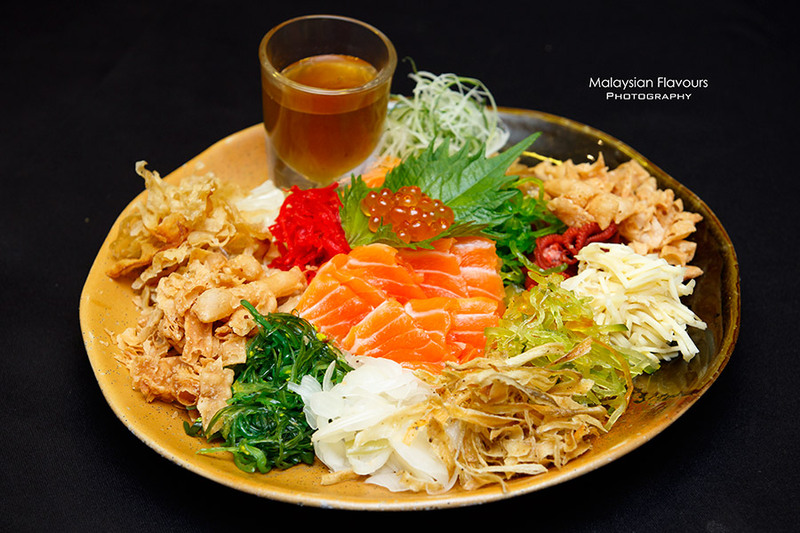 For diners who prefer only salmon topping for their Lou Sang, Hana offers Wild salmon Lou Sang at RM98 for large (8-10 pax), RM68 for medium (5-6pax) and RM38 for small portion suitable for 2-4pax. 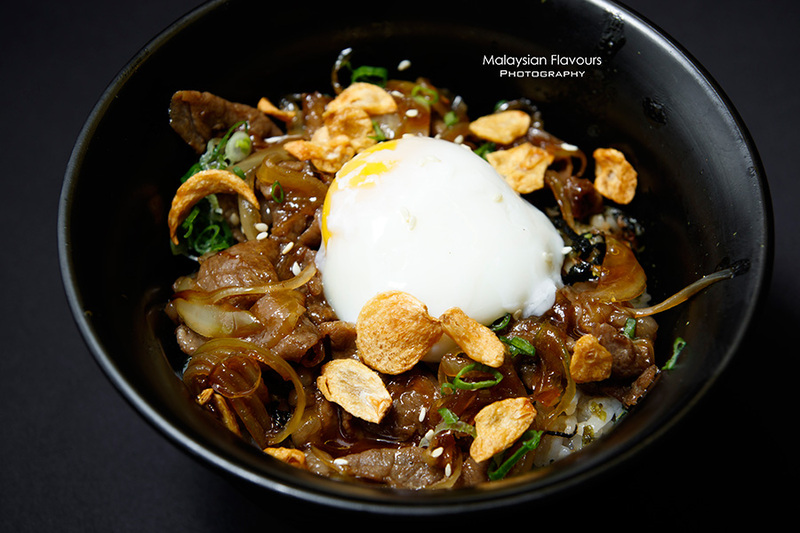 Certainly more value in price comparing to many other restaurants. 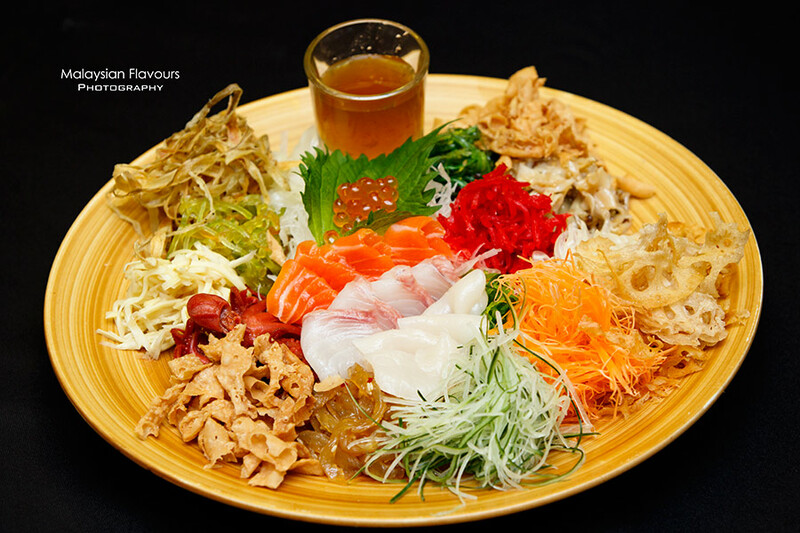 While tossing to prosperity, do not forget to enjoy Hana Japanese cuisine, putting together traditional fares with a modern twist to please. 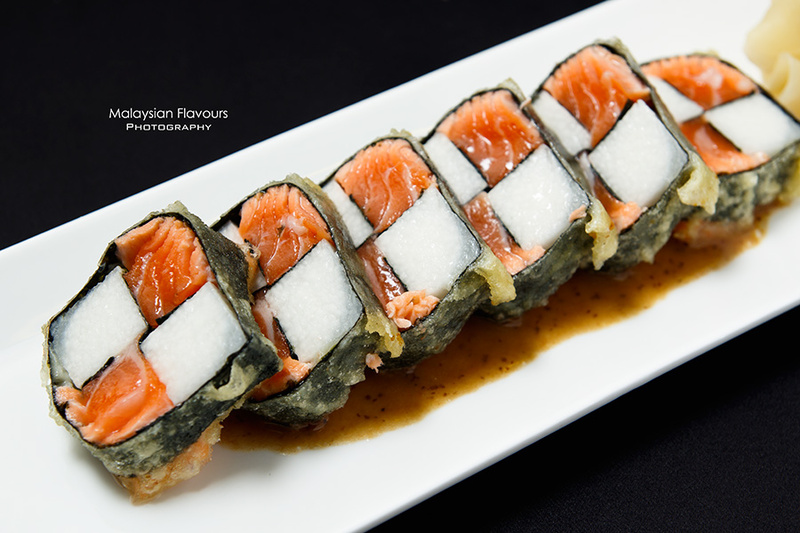 The Oyamaimo Shake Maki wrapping squares of salmon and yam within seaweed isn’t love at the first bite, as the slimy, gooey liquid coated around the yam can be a tad unpleasant. 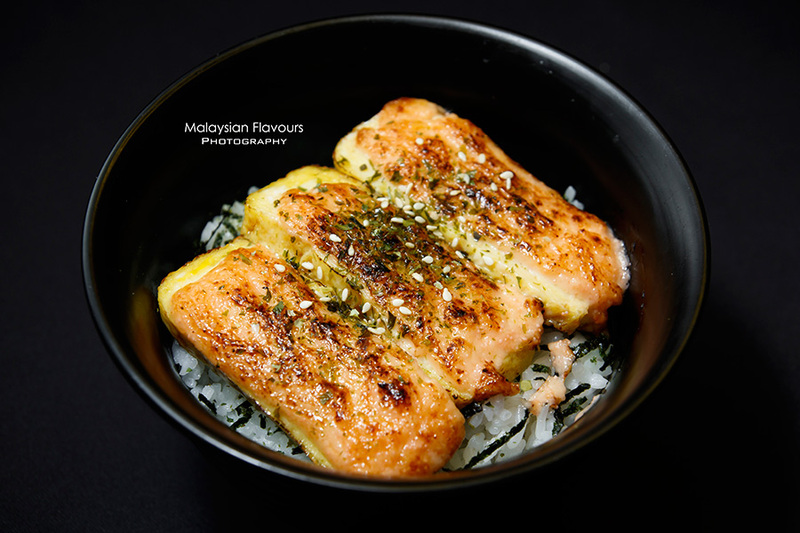 However as we munch on, creaminess from salmon, crunchiness from seaweed and juiciness of yam begins to blend in well, better with a light dip of soy sauce to enhance the overall flavours. 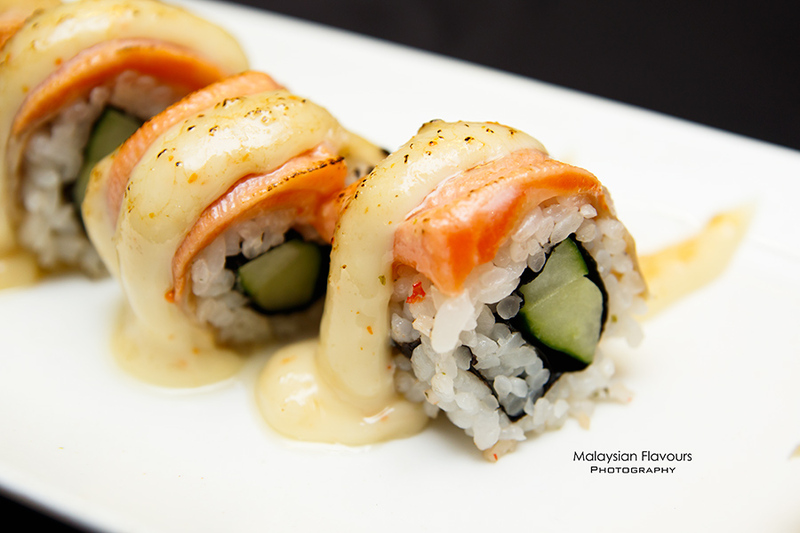 Cucumber rolled in Japanese rice, topped with a layer of salmon and garlic mayo, torched for a burnt sensation. 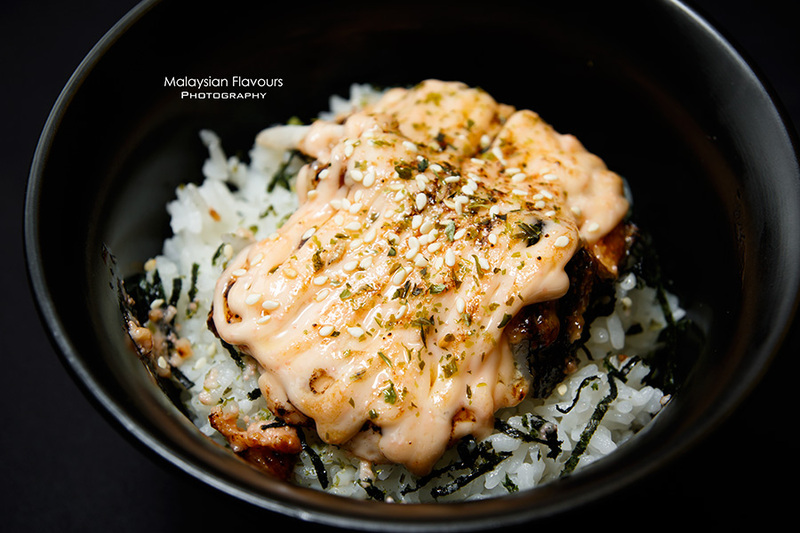 Easily accepted by local diners comparing to Oyamaimo Shake Maki, seeing that it is more flavour laden, helmed with delicious creaminess that both young and old will love. 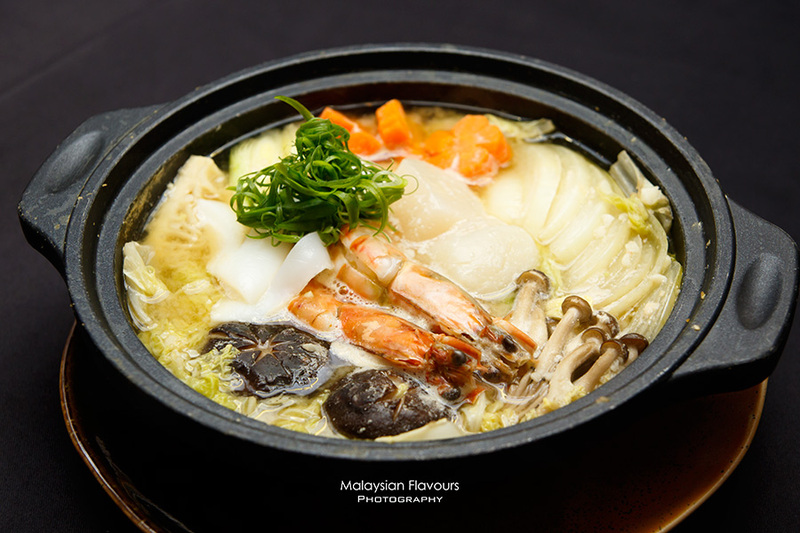 Nabe pot, something we like to have in a Japanese restaurant, especially during rainy day. Miso soup base, boiling hot to get sweetness of vegetables, onions and meat released into the broth. Hana’s version has lots of onions in it, complete with fresh seafood. Having fruit juice blend in a Japanese restaurant is no longer an unmatched scene, as health concerns are highly taken care nowadays, we try to intake as much fibres and nutrients as possible during or off main meals. 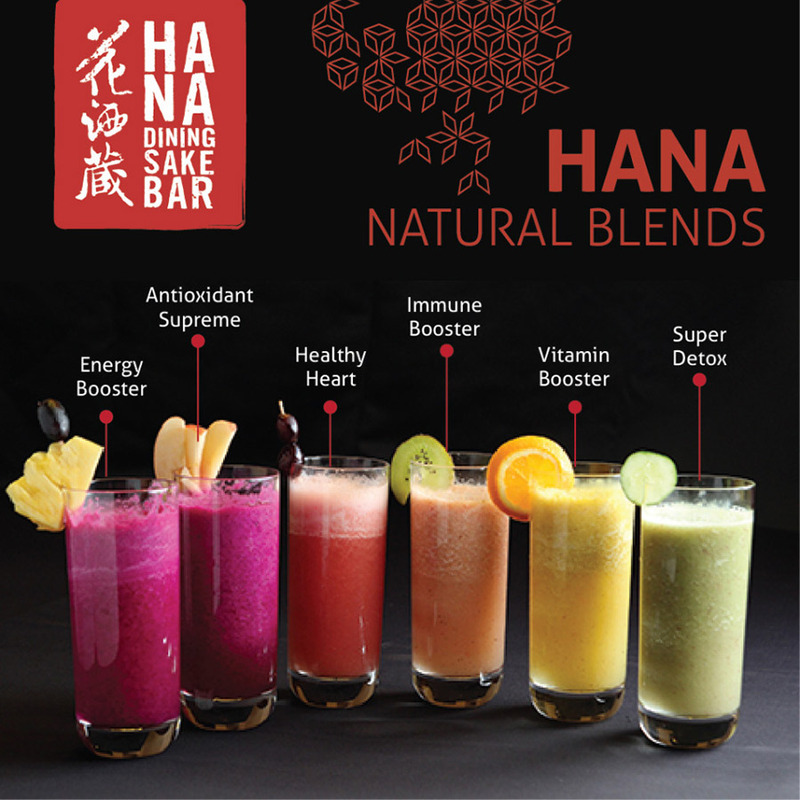 Hana ‘s Natural Blend is real good, packing grapefruit, kiwi, or dragonfruit with whole bottle of yakult goodness all in one glass. No sugar, no colouring, 100% natural. 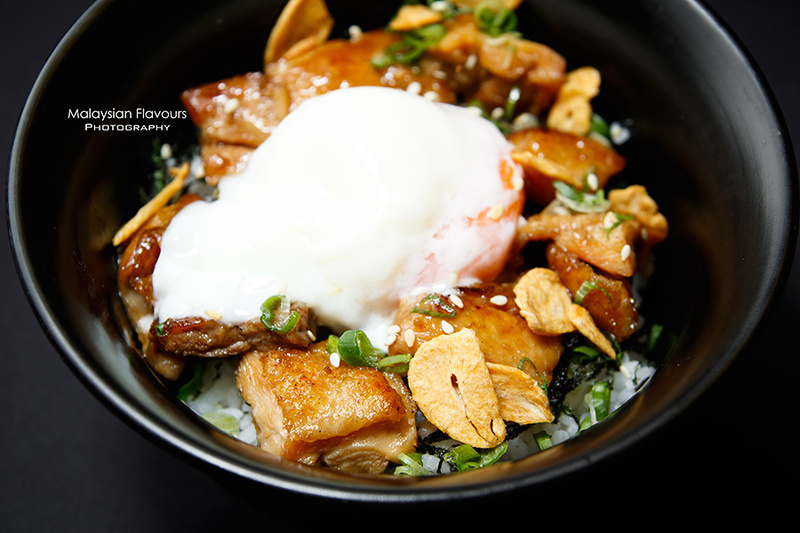 Japanese rice, topped over with quality ingredients for different rice bowl – Australian beef, deep sea cod fish and wild salmon trout, even your soft boil egg is prepared using Kampung egg for the best flavour. Make sure to check it out.